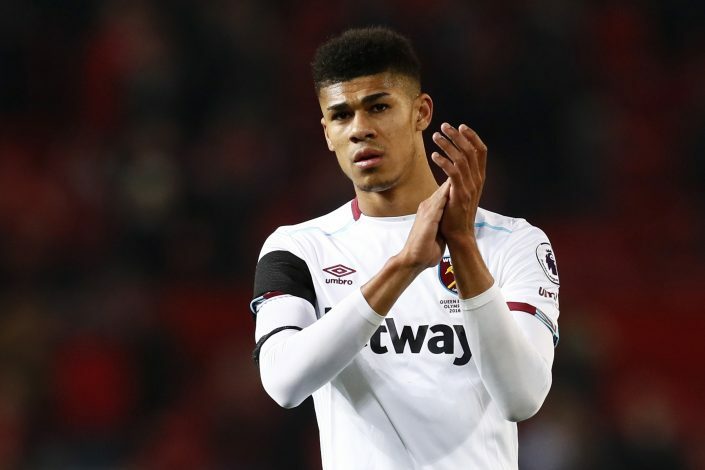 Almost a year after signing a four-year contract at West Ham from Manchester United, a figure has finally been agreed over the transfer fee for Ashley Fletcher. Fletcher, 21, decided to move to the London Stadium despite the two Premier League clubs failing to settle for an appropriate transfer fee. Now, according to a report from The Sun (via Express), the deal has been finalised, with United and the Hammers agreeing on a £1m transfer fee for the England U20 international. It is also believed that United will be given an extra £1m on top of the agreed transfer fee should the striker meet an appearance clause in his current deal. Garry Monk’s Leeds have previously tried to land the young striker, but failed twice as West Ham signed him, and now, following the Englishman’s settled transfer fee, there is a strong possibility Leeds will once again try their luck. Fletcher’s only goal for West Ham in 17 appearances this term was against his former employers at Old Trafford back in November. However, the Hammers were brushed aside 4-1 by Jose Mourinho’s boys in the EFL Cup quarter-finals. Despite the lack of goals from the young attacker, the deal may become a bargain for Slaven Bilic, as Fletcher has shown his potential when called upon this season.